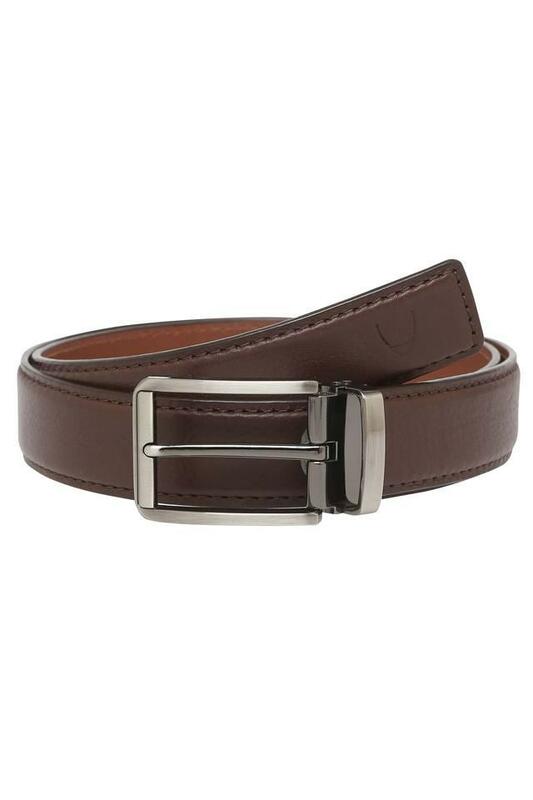 Versatile and plush, this belt is designed by Hidesign, to add a touch of sophistication to your ensemble. It has been crafted from fine quality leather that gives it a smart finish, while the buckle closure ensures a proper fit. It also features an embossed branding on the tip that adds to the design. Take your style to a new level by wearing this fashionable belt while you head to any casual occasion. You can team it a pair of jeans and a shirt to look your best.